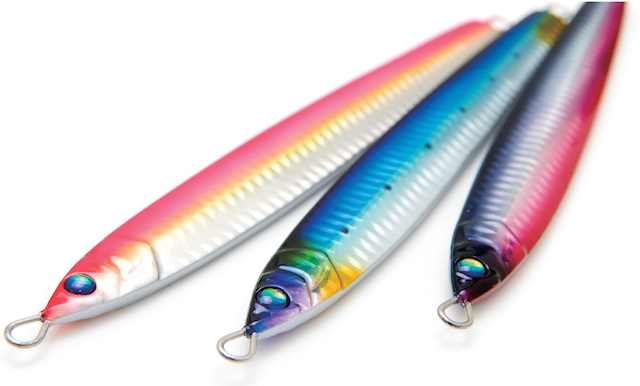 The Damiki Tokon Jig is a slim lined jig that is designed to attract slower demersal fish and fast pelagic fish. Its design is unique in the sense that it can be worked both slow and fast depending on the action the angler imparts. Coming in a 90gram and 120gram model it is perfect for working through the myriad of water depths people fish on the Australian coastline. With 5 durable and effective colours Its the perfect lure for the majority of jigging applications. Wether you’re dropping jigs for high-speed species like Kingfish, Mackerel, Tuna or for slower bottom fish such as Pink Snapper, Coral trout, WA Dhufish the Damiki Tokon Jig is bound to get the results you’re after. Its certain to prove effective on many of Australia’s fish species! To check out the full colour range and more information please visit www.searingtackle.com.au or call 0404 719 944 o r find us at DamikiLuresAustralia on Facebook.